Today I was really really not looking forward to in the slightest. It was a rock climbing day. The reason I wasn’t looking forward to it is simple – fear. I am not at all great with heights, I just get nervous, and the thought of hanging on by your fingernails on some vertical cliff face is my idea of hell. 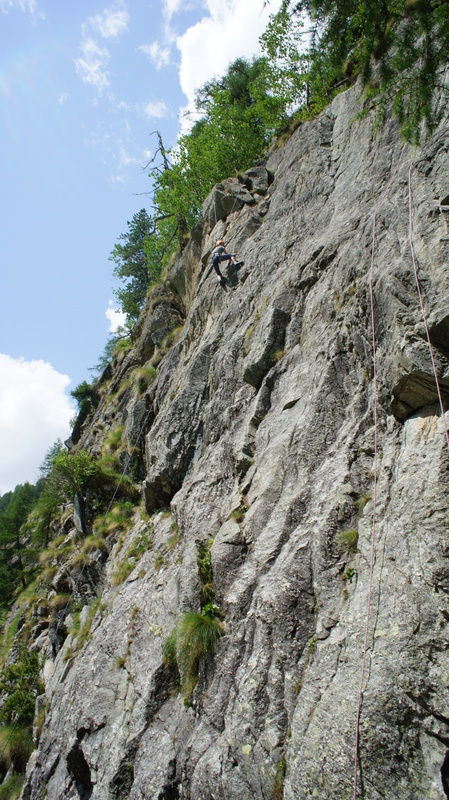 Similarly, the thought of edging yourself backwards to walk down several hundred feet of rock, hanging by a thread, with your back facing the ground (or abseiling, to give it its proper name), is just terrifying, pure and simple. I woke up at 3am initially, and was instantly wide awake. Should I just back out of today’s events? I don’t need to do them, as the chances of me wanting or needing to climb vertical rock-faces again have to be fairly slim don’t they? Or maybe they aren’t. Who knows. I didn’t want to just be a chicken though, and I am after all paying good money for someone to teach me these things. But then again why put yourself in danger? I know that ropes are there to hold you etc., but what if I slip and fall? I am not quite ready to die yet. These thoughts consumed me for about an hour, but I eventually got back to a troubled sleep and got up finally at about 6.30. 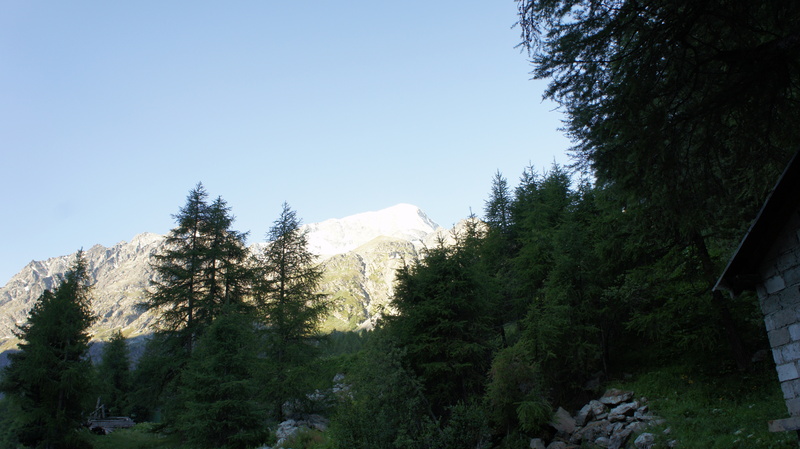 Sitting at breakfast, the talk was of Friday’s ascent of Pigne D’Arolla. Everyone’s legs were sore from yesterday’s summit of Pointe de Vouasson, and looking at Pigne D’Arolla through the window of the hotel, it really does look a formidable beast. It stands at about 3,900 metres, and is apparently quite a step-up in difficulty from what we just achieved. Talk was of (half in jest, but with a very serious undertone) of ‘getting injured’ to get out of the ascent. This provided a bit of a nice distraction for me, and I didn’t let on that today, not tomorrow, was my terror day. I decided I would get ready, go down to the crag, and see how I felt. So all of a sudden, here I am at a rock face which literally goes straight up, and to me looks as smooth as a baby’s backside. I am wearing a climbing harness, a helmet, and rock shoes, which feel like my feet are in a vice. The perspiration is coming out of me so hard and fast I may well have been standing under a shower. I am however going to go for it. We take it in turns to climb up the ‘crag’. We are very much split in two in terms of ability/fear factor. Tim whooshes up the face almost as fast as Andy the instructor. He has done this before, and is clearly a natural. Kelly too, does great. She has experience too, and makes it look easy. Andreas is clearly in my camp however. He gets about half way, but is clearly far from happy, and comes back down. Strangely his ‘failure’ spurs me on, and I decide that I am going to try to get further than he did. I can’t, of course. I get probably a third of the way up and can hardly breathe. I am wrapping myself to the face of the rock face like it is the only thing on earth that can save my life, which in fact it is. 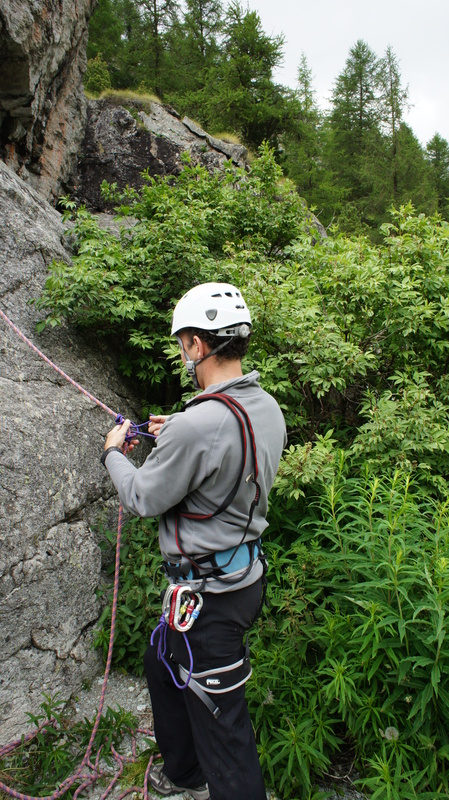 I have to get down, and am belayed back to safety. I probably went no more than 25 feet. 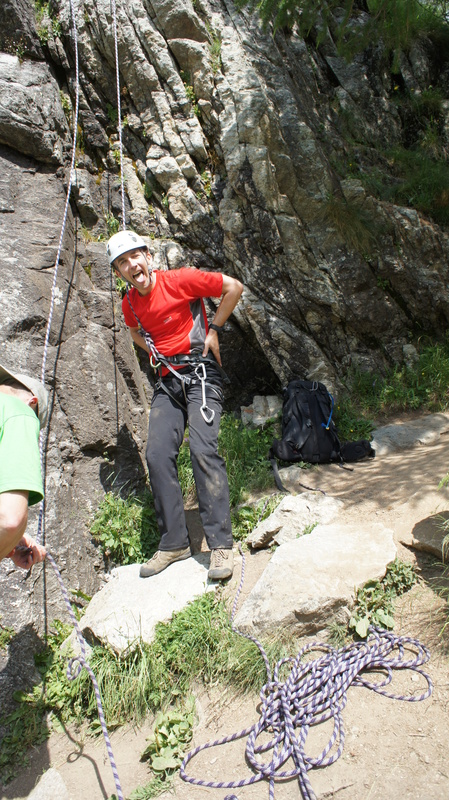 Me, in a state of semi-paralysis on the rock face. My feet and wobbly legs back on terra firma, I let on to Andy and the others that I was thinking about not even making it out of bed today because of how scary it was to me. I perhaps expected (or just needed more like) a bit of stroking at that point, a sort of “well at least you tried”, but that was never going to happen, and why the hell should it. Good for Andy, actually. 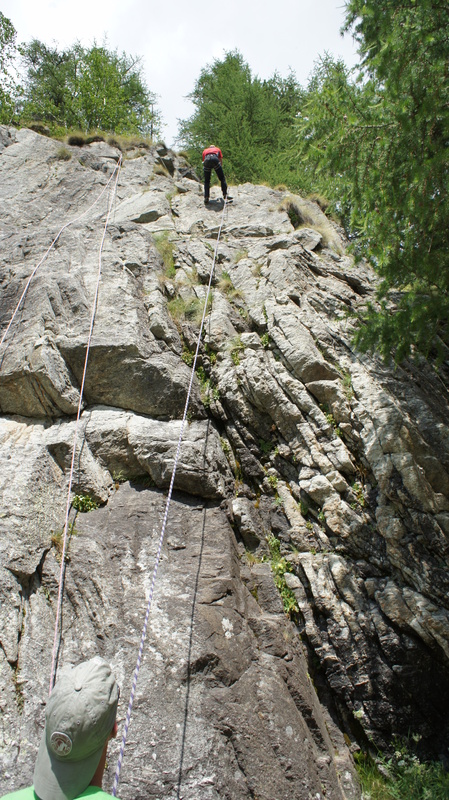 Then Andy roped another route up the crag, and this time Andreas got up to the top. I decided that I could do the same, probably, and so set off after he got down. This time I did it too, it was a bit slow going, but I punched the air in delight when I got to the top. I was amazed and delighted. After we had finished climbing we went back to the top of the crag by a slightly easier means and abseiled back down again. This time, although I was extremely wary at the top, I was much more relaxed on the actual descent. 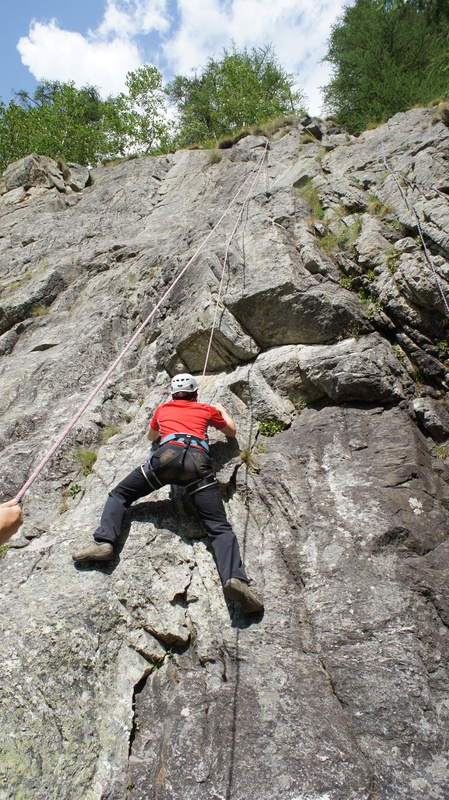 I am not going to be rushing back to climbing or abseiling, it is just beyond my comfort zone, but I was so glad in the end of the experience. 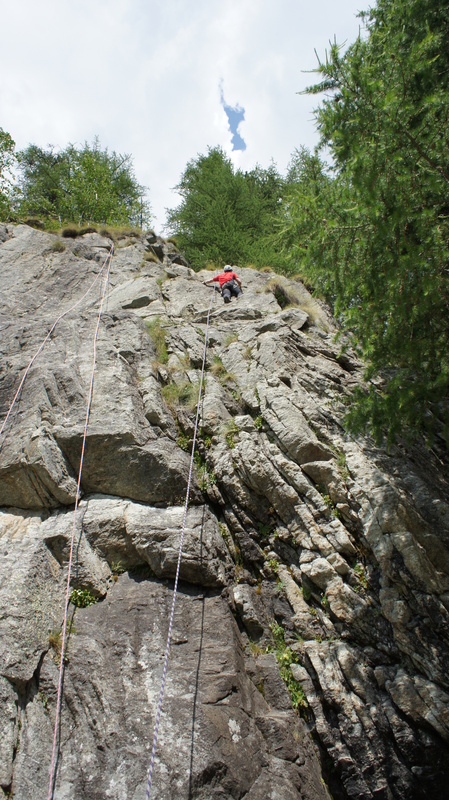 And abseiling back down again. In the afternoon we did some simulated crevasse self-rescue techniques, and I also got some jumar and fixed line training from Andy. The weather changed considerably for the worse, and so we did some of the crevasse rescue dangling from the fire escape steps at the hotel! The fixed line training showed me basically how fiddly and awkward this can be. Considering this took place in the ‘warmth’ of a Swiss Hotel car park, then I can imagine that up a Himalayan peak at 6,000m with your faculties only half with you, and minus-something temperatures, that it will be a whole different ball game. I made a note to myself to get some practice just clipping in and out when I get back home, so that it gets to become second nature. I might rig me a rope and a couple of simulated anchor points up my stairs at home even ! 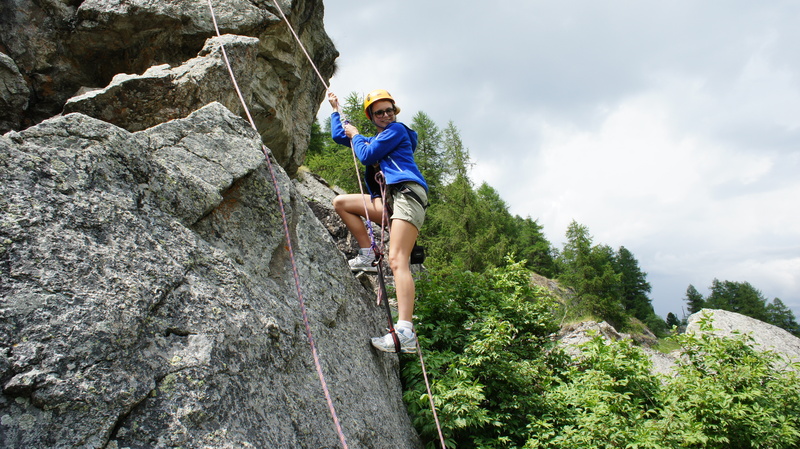 This entry was posted in Switzerland and tagged abseiling, crevasse rescue, fixed-line, french prussik, Pigne D'Arolla, prussik, rock climbing by aquavista. Bookmark the permalink.